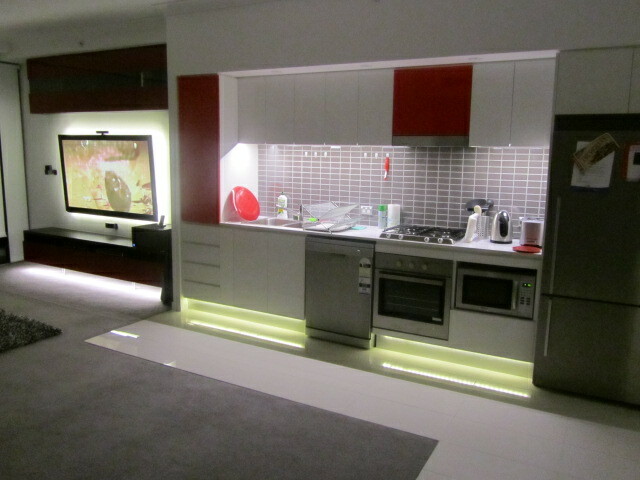 Water Resistant Kitchen Cupboard, Splashback or Bathroom LED Light D.I.Y Kit White - VOLKA Lighting Pty Ltd. This kit is suitable for indoor applications in wet places like Kitchen or Bathroom where water can occasionally splash on the strip. The strip’s protective material makes it tolerant to liquids or mechanical intrusion, plus outer surface is smooth and easy to clean. Optional - LED Dimmers. You can adjust LED’s brightness with the Dimmer. It’s sold separately. Please keep in mind that LED Dimmer and Power Supply are non-waterproof, thus could be damaged by water. 1 This list is far from being exhaustive. If your intended application is not listed above, please CONTACT US for help. 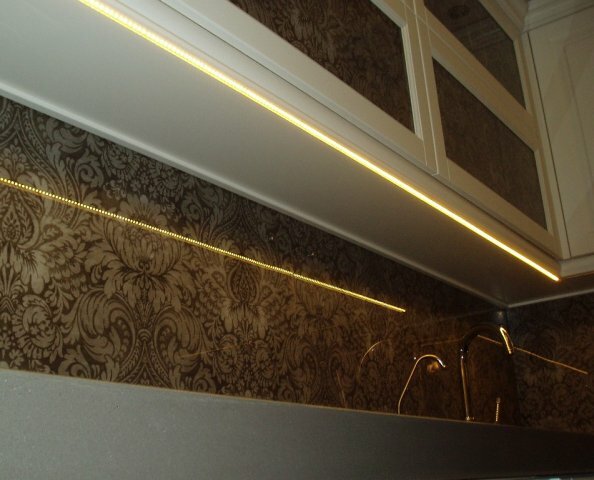 Decorative LEDs is an essential element of modern home or office decor. In a darkened room, our eyes are naturally drawn to the well-lit objects such as shelves with jewelry or liquor, reception desk or furniture. With the proper setup LED lighting can effectively multiply visual impression from the other decorative or architectural elements. It also can be used as primary or supplementary light in space constrained places like kitchen overhead cupboard, study desk or caravan/van. New generation Decorative LEDs deliver higher brightness and full specter of colors in a miniature size. Low cost combined with no-brainer installation makes it suitable for both DYI and professional use. 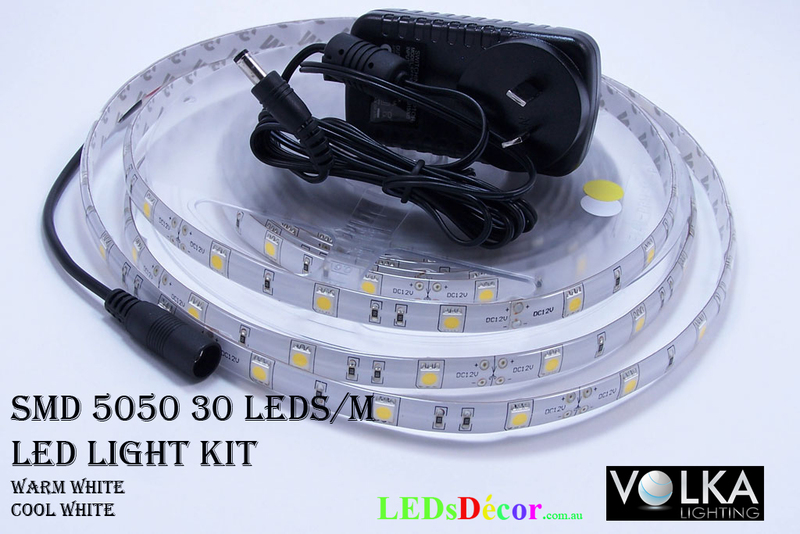 This kit contains everything you will need to set up your own strip lighting.The whole kit can be easily assembled in few minutes and does not require special skills. 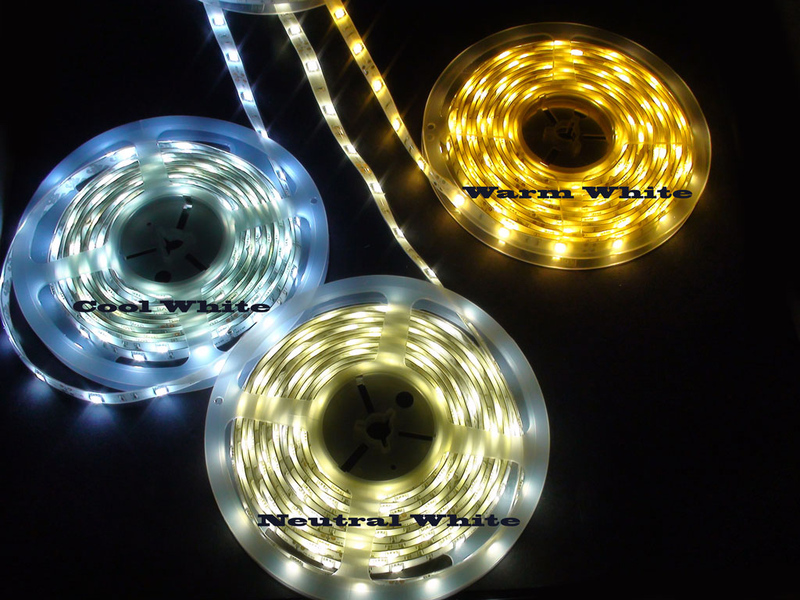 LED strip comes with self adhesive tape on the back to ease installation. 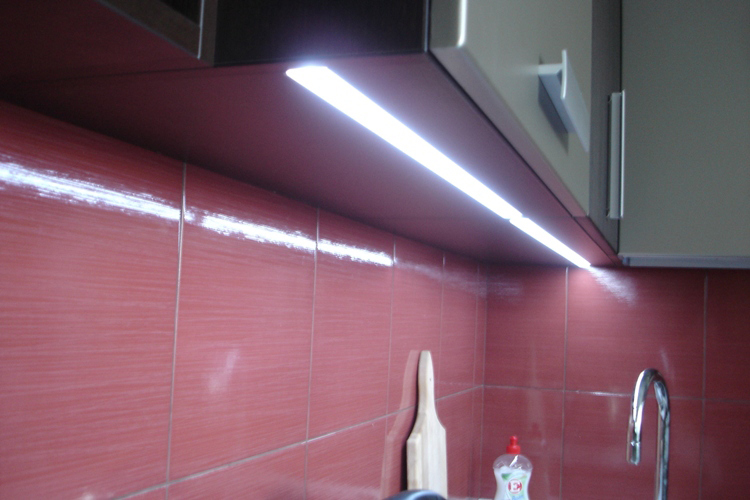 I needed lighting to fit behind a 4m long pelmet to illuminate the kitchen work area. 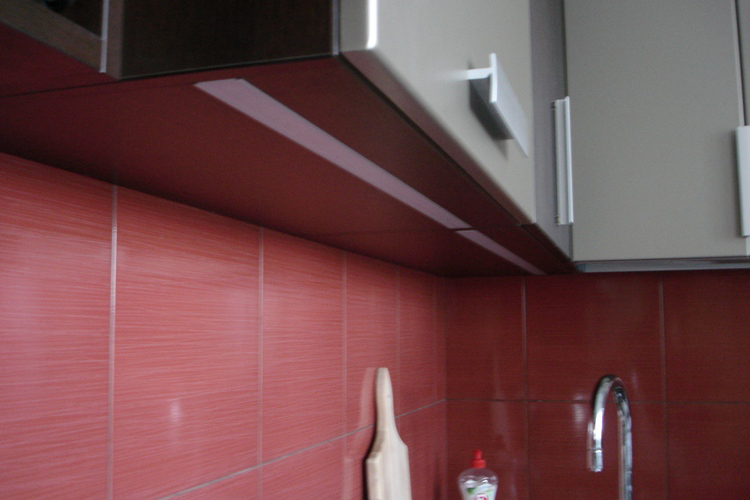 The 2m long strips were very easy to install with the self adhesive backing allowing direct attachment to the underside of the pelmet. The neutral colour light is perfect for this application. I had installed a double power point in the centre of the pelmet and two 2m strips running either side. Very simple and effective. Click the button below to add the Water Resistant Kitchen Cupboard, Splashback or Bathroom LED Light D.I.Y Kit White to your wish list.